Recently Hollywood billionaire movie director, screenwriter, and producer Steven Spielberg spoke during a panel discussion with his equally credentialed friend George Lucas. This panel discussion took place at the School for Cinematic Arts at the University of Southern California. Among other things, they spoke about the future direction of the movie industry. There is going to be a day when the experience is going to be the price of admission, . . . . What I fear about that day coming is that the experience will trump the story or the ability to compel people through a narrative. And it’s going to be more of a ride, a theme park, than it is going to be a story, and that’s what I hope doesn’t happen. Although not an avid movie viewer myself, when reading about these concerns I could not help seeing some parallels between Spielberg’s apprehensions about the future of Hollywood and its movies and the tragically flawed history of the interpretation of the book of Revelation. But, after all, has the content of this last book of the Bible been so poorly interpreted? Yes, it has, and not only in my judgment but also in the judgment of those who specialize in surveying the history of the interpretation of Revelation. It seems to me that the most injurious interpretations have come from those who are especially adept at marginalizing the story of Revelation for the sake of what is often regarded as the spectacular in it. There is no question that Revelation contains the spectacular, the sensational, the sensory, and the provocative. 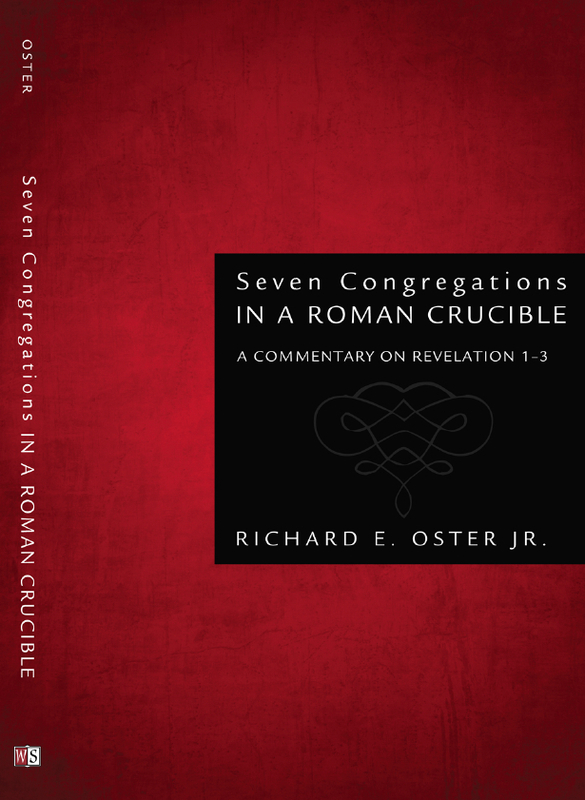 Undoubtedly there are many literary “special effects” in Revelation: fantastic symbols, a use of numerology that challenges even the best interpreters, compelling avatars, e.g., sensual prostitute and sadistic beast, based upon OT allusions, and a use of color unparalleled elsewhere in Scripture, to name a few. Nevertheless, none of these “special effects” is the point of John’s prophecies. For many interpreters, however, these fascinating aspects of Revelation are, to use Spielberg’s language, “the experience[s]” so sought after by humans rather than “the story” of the text. Certainly students of Revelation can better understand John’s prophecies if they immerse themselves in the sights and sounds accompanying John’s prophetic text. But even this immersive experience should primarily be encountered as a means to comprehending the story of Revelation –– a drama culminating in the coming of the new heavens and new earth –– and not as an end in themselves. Some congregations or individuals seem to merely want to frolic in the iconography or numerology of Revelation or be drawn into the book’s phantasmagory and all the while leaving their hearts and souls untouched by John’s prophetic messages. It is these “special effects” interpreters who want Revelation “to be more of a ride, a theme park” than to be about John’s story, namely the dangers of assimilation (looking inwardly) or God’s condemnation and judgment of nations (looking outwardly) that deviate egregiously from God’s paths of justice. It is these who are most likely doomed to miss what the Spirit says to those who have ears to hear. Upon reading this brief article, my initial response is the ultimate import of having an ongoing relationship with the Lord Jesus Christ—which if one thinks about it, that developed and growing relationship is in fact the theme of the Holy Scriptures in their entirety. Otherwise, regardless what one comprehends via Revelation will mean absolutely nothing. Indeed, the unconditional love of God and this all important relationship is key to a person’s hope of everlasting life. We must recall that the Apostle John who penned the inspired Words of Revelation is the same writer who also wrote the Gospel of John. That said, let us therefore ponder on one of the main aspects of our acceptance of the Bible as God’s Word AND its main focus; John says: “Jesus did many other miraculous signs in the presence of His disciples, which are not recorded in this book. BUT these are written that you may believe that Jesus IS the Christ, the Son of God, and that by believing you may have life in His Name” [John 20:30-31]. So, aside from all the interpretive hype of this book of symbols, metaphors, and predictions…and again, how is your relationship with the Lord Jesus? Thanks for this post. It reminds me that the Bible is to change my heart and actions. I need to have that be my focus and not on changing the hearts and actions of others. That can come later but is not the focus. Hearty AMEN to this blog! Seems the drift of our entire culture is to crave the sensory experience and Christians are too easily being caught up in that drift. The question is how can we discover the flags and safeguards God has given us to counter this drift. Scripture is certainly all sufficient for this and along with the Spirit we have all that we need. Let us just just encourage each other daily so that we will not become hardened to sins’ DECEITFULNESS. Thanks for the blog visit. More time spent in Scripture is certainly a starting point. Sometimes I wonder whether these more obvious problems are not just the tip of the iceberg.